1. ""Moisturizing care "" that makes skin healthy. 2.Centella extract which is specialized in soothing effect and Acerora enriched with plentiful vitamin makes skin look pure and healthy. 3. 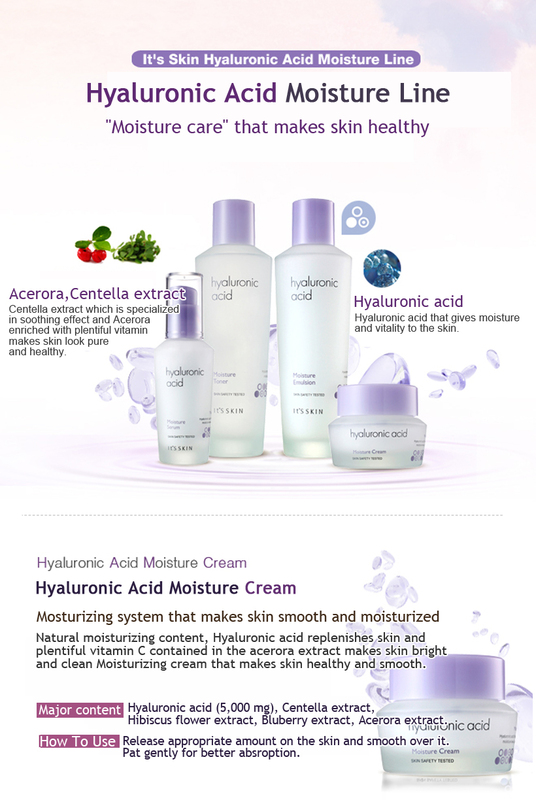 Hyaluronic acid that gives moisture and vitality to the skin. 1.Release appropriate amount on the skin and smooth over it. Pat gently for better absroption.